I brought several of my girls with me on this outing since we carpooled up there and I didn’t have to deal with the subway! 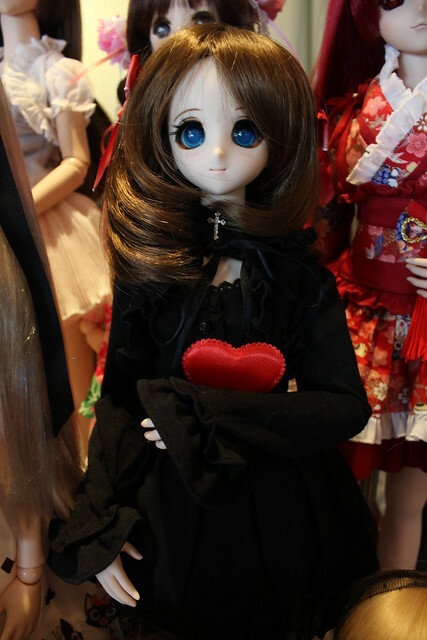 Here’s Rin looking very sweet. She found a cookie! It seems that Rin doesn’t go anywhere without Annalise close behind! 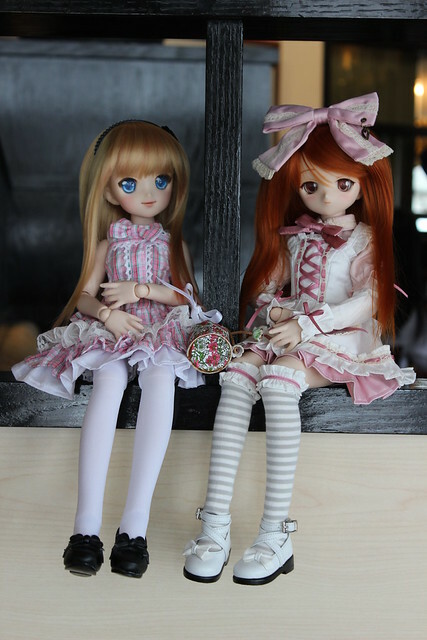 I brought Serena with me, and here she is with Meo’s Tamaki, both in their lovely wa-loli dresses! Juu-Yuki brought her newly arrived DD Yuki Morikawa, who shall be her custom Asuna doll; and she’s accompanied by handsome Kirito. Look closely – that’s a repainted Saber Lily head. 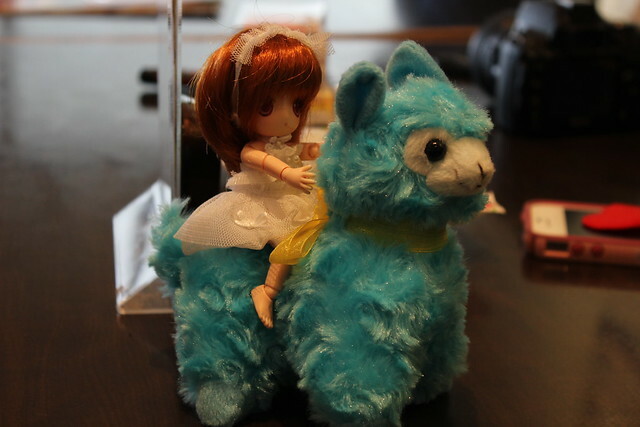 Here’s AgentPanda’s cute little girl Dot riding an alpaca! 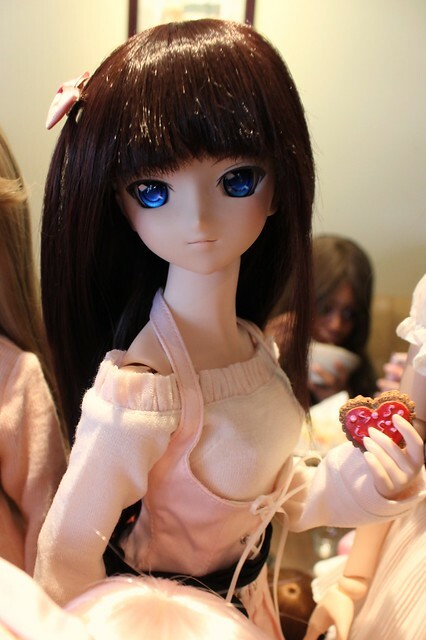 Meo brought pretty Misuzu out again. I haven’t seen her in a while! Whitefrosty brought a couple of her boys with her. Here’s Mishka – it was nice to see him again since he doesn’t come to meets very often! 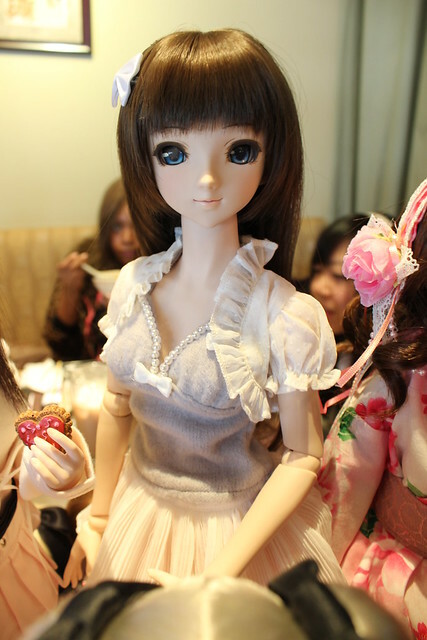 She also brought Yukio (Volks YoSD Puff) who is on a romantic little date with Machiko’s Delilah! Both of their outfits are so adorable! 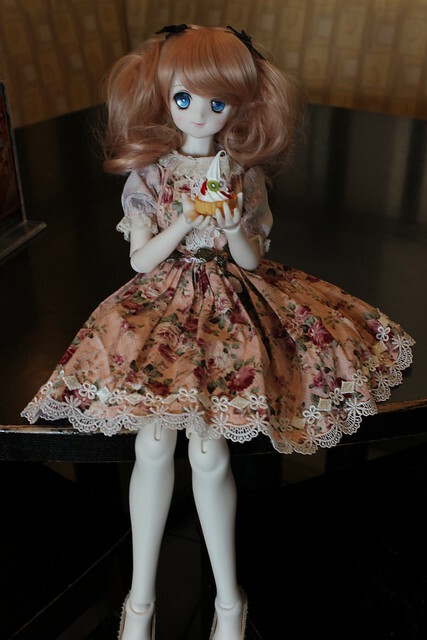 CenturyStory brought the ever-stylish Primula and took some very gorgeous photos of her. 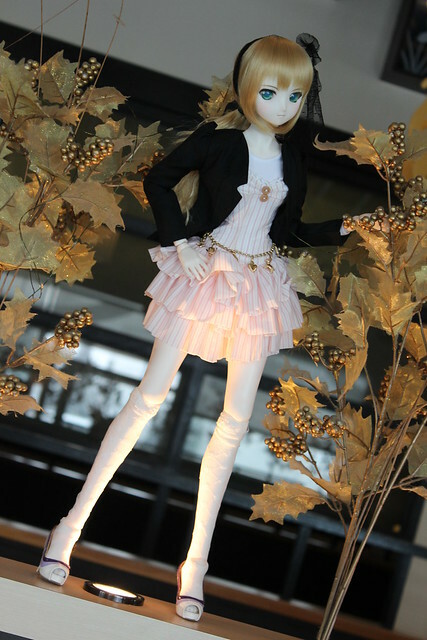 Nkei’s new custom girl, painted by Hikaru132, Charlotte the Candy Witch (Puella Magi Madoka Magica). 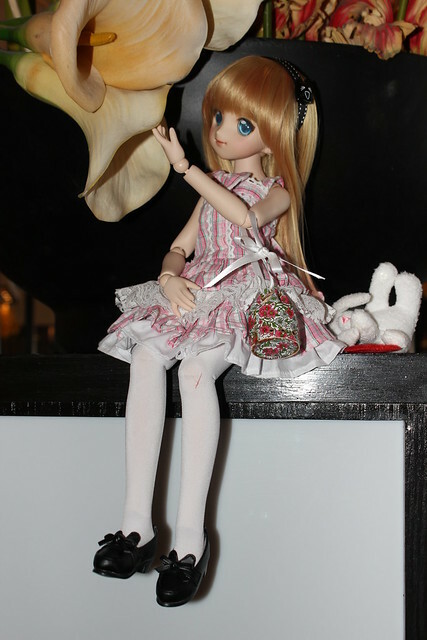 Charlotte liked cuddling with PlasticFantastic’s Yuki-kuma! 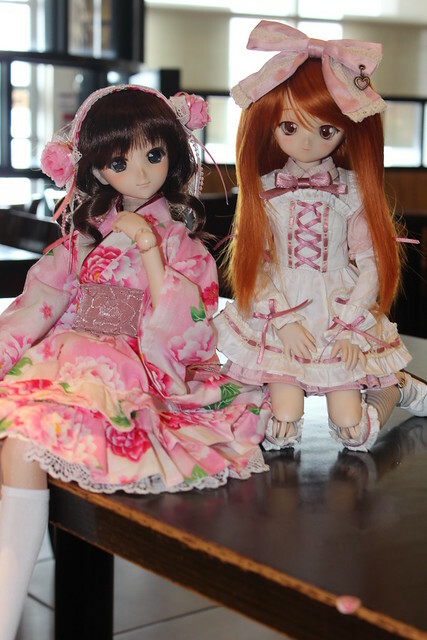 Here are a couple of the little girls hanging out: Tanu-chan’s Kairi and PlasticFantastic’s Maya. Aren’t they sweet! 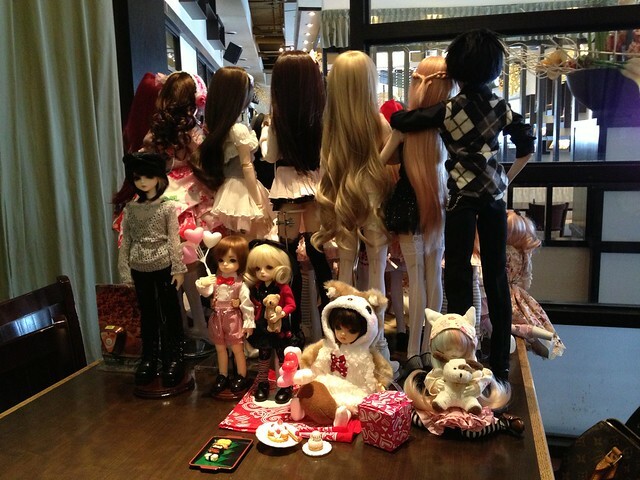 We have PlasticFantastic’s Juno, MrCool’s Yukino, nkei’s Kokoro, centurystory’s Primula, di-chan123’s Sia, and my Annalise and Rin. She managed to talk Serena into an outfit change. 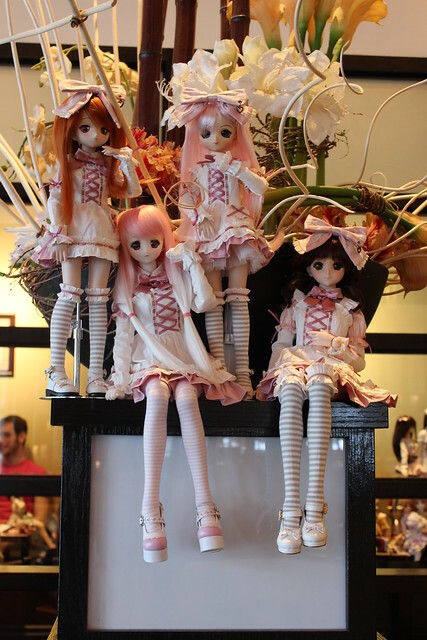 So here they are, joined by Kokoro and my little Médée showing their appreciation for the Volks Strawberry Milk Heart outfit set! These little ones got into some mischief and Kokoro had to get them back in line, but with that pouty face it’s hard to take her seriously! But it appears that AgentPanda’s Penny and Tanu’s Kairi were very well-behaved and listening to Charlotte tell them stories. 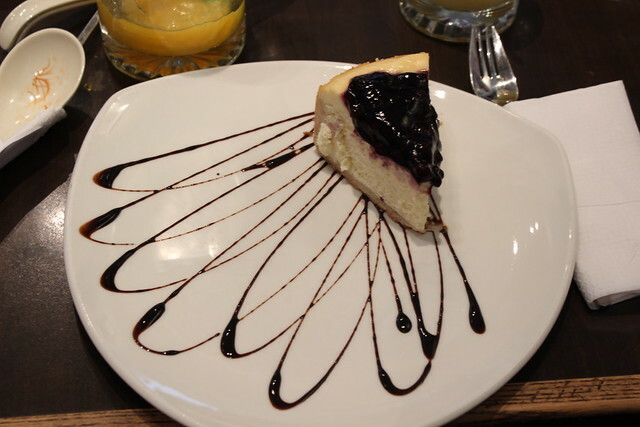 Now it’s time for some obligatory food photos! 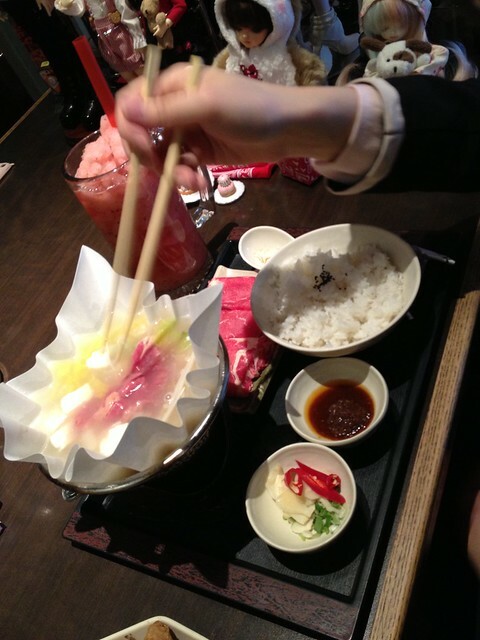 This is the Beef in Paper Hot Pot (or something along that lines) – it’s a paper bowl over a burner and you cook the meat in the broth. 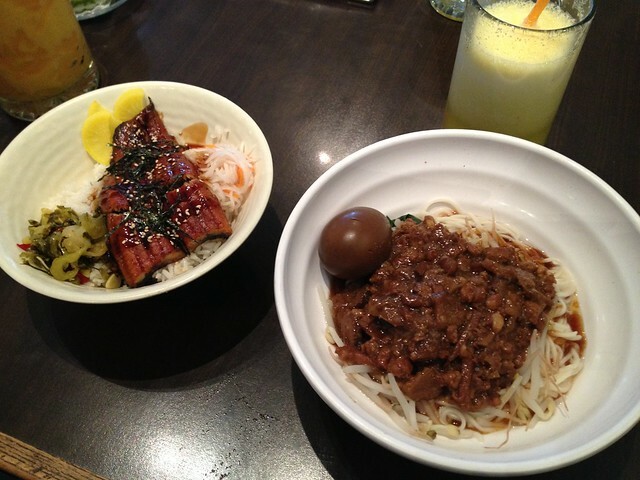 It’s really delicious! 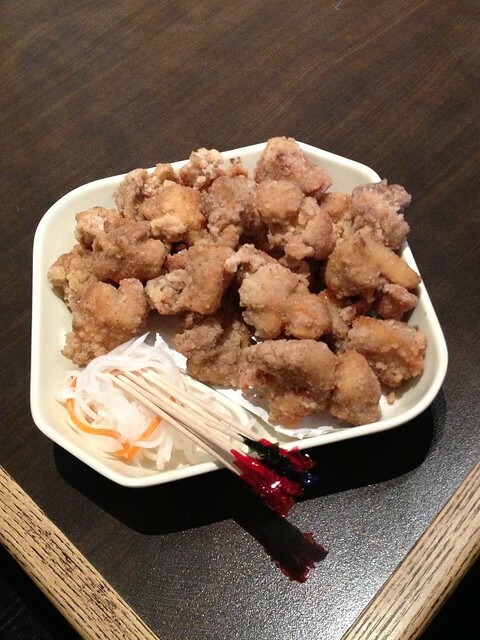 Popcorn chicken! A bit salty but so tasty!! 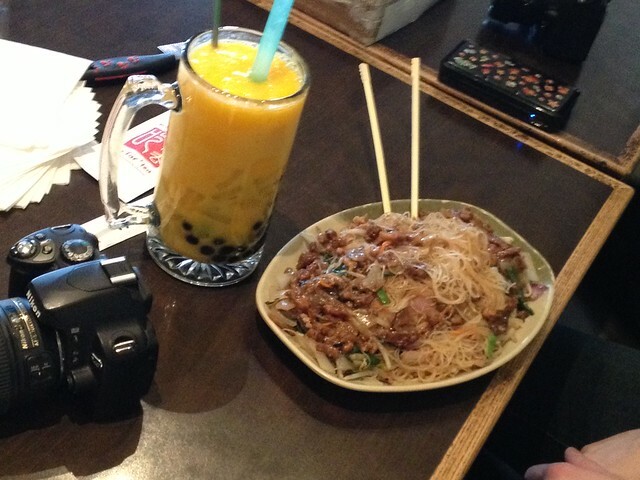 This was a beef vermicelli dish, but the stars at Go For Tea have to be their epic drinks. Look at the size of the Mango-Mango! 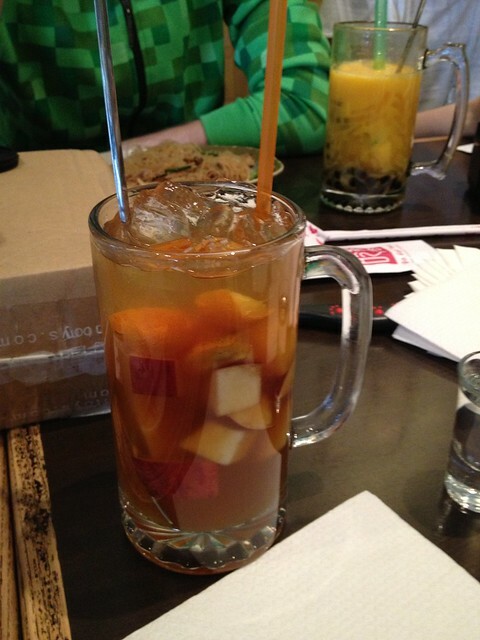 And this mixed fruit tea! 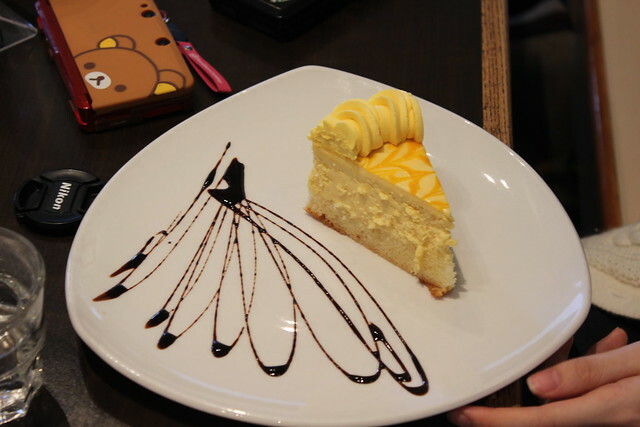 At first I scoffed at the tiny portion size, but this cake was very rich. Any more and it would have been like I ate a brick! 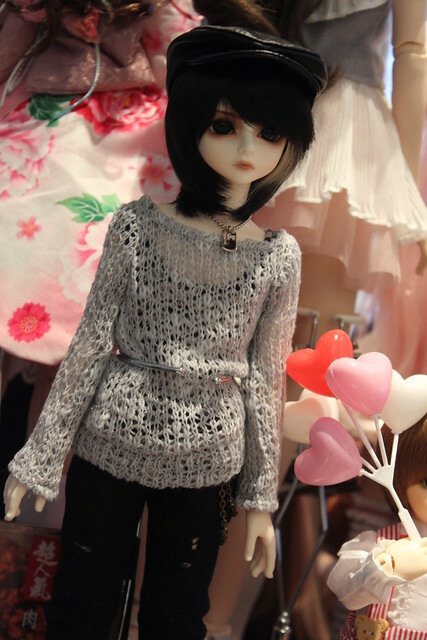 We had a very relaxed afternoon, and the staff were very cool about letting us just hang-out and take pictures. I wish this restaurant was more friendly for public transport, but it made for a great venue for such a big group to meet. I’m sorry it’s taken me so long to get these pictures posted! 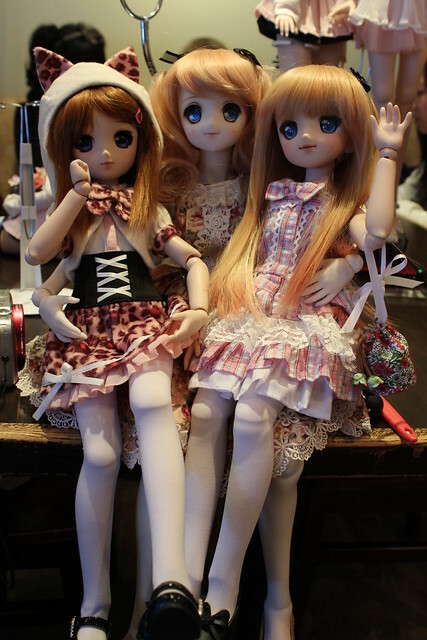 I promise not to be so tardy with the March meet-up photos! 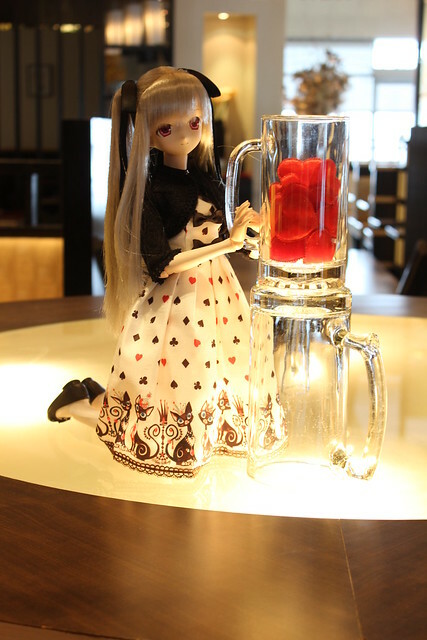 >__<"
This entry was posted in Doll Meetup, Dollfie Dream and tagged Annalise, Dollfie Dream, meetup, Serena, Toronto, Yuki Morikawa by archangeli. Bookmark the permalink.